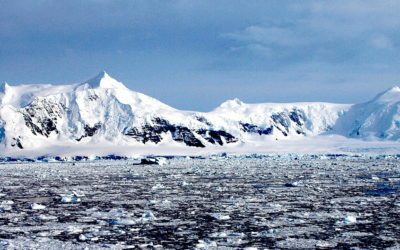 Most ice is lost from Antarctica through ice streams. 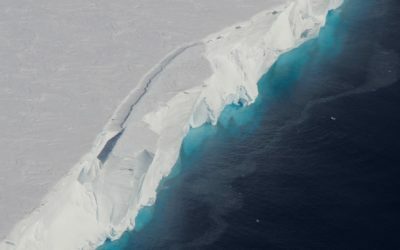 To better predict the future of the Antarctic ice sheet it is important that we improve our understanding of ice-stream flow. 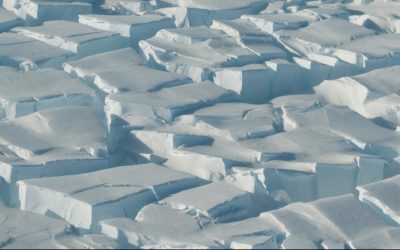 Processes that operate at the bed of the ice streams have a major influence on their flow, but it is very difficult to examine these regions as they are often buried under kilometres of ice. 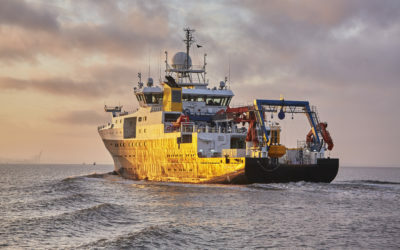 However, modern marine survey technology can obtain high-resolution data from offshore areas that were shaped by past ice streams, and are now ice free. The data shown here has improved our understanding of past ice-stream flow on the Amundsen Sea continental shelf. 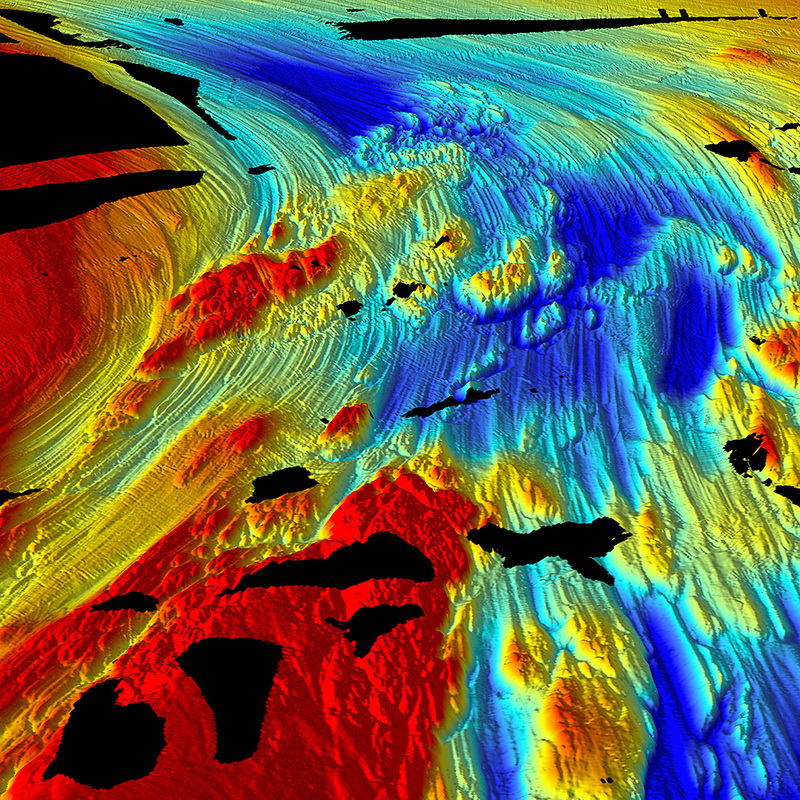 This swath bathymetry data reveals features formed by glacial flow in a perspective view of the seabed looking north from the Getz Ice Shelf. 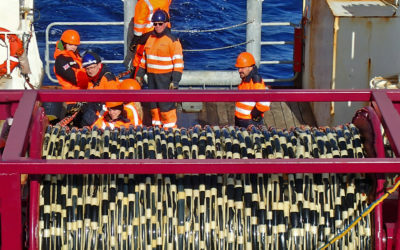 The colours indicate different water depths. Reds show shallower areas and blue colours are deeper, while black areas are data gaps.